3 Bedroom Detached House For Sale in Lincoln for Offers Over £400,000. 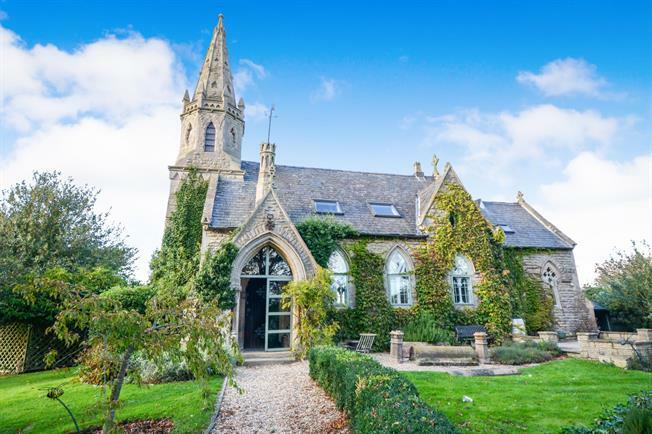 Converted Church Built in 1862, this property is truly one of a kind and is full of character and charm. As a grade II listed building, the conversion has been done sympathetically to provide a three bedroom home whilst keeping may of the original features of the building. The property has two staircases, one large one leading up from the entrance hall, and an additional spiral staircase which leads up from the main living room. Upstairs there is a master bedroom with an impressive vaulted ceiling with exposed beams. This bedroom also benefits from an en-suite bathroom and built in storage cupboards. There are also two other double bedrooms and a modern shower room. The grounds are most impressive and overlook open fields to the front and both sides. There is a long driveway which leads up to the gated entrance to the property where there is a gravelled area providing ample parking.